Summer is upon us and it’s looking to be a hot one in Southern California. Unfortunately, most homeowners are all too familiar with this time of year. It’s the season of expensive energy bills! Everyone’s favorite. While no one wants to sit around and be hot all day in their own home, they don’t want to flush money down the drain either. It becomes a constant struggle trying to decide whether to turn on the air conditioning or sweat. Luckily, we have come up with a list of ways that you can conserve energy this summer while still staying cool…because no one should have to choose. Like we always mention, regular air conditioning maintenance is so important. It’s one of the easiest things to do and it can make a MASSIVE difference. Cleaning your clogged AC filter can save 5-15% in energy by itself. You also need to be aware of the longevity of your current unit. If it’s getting old, you might want to upgrade. Newer units use better technology that is built to save energy and money! We live in a day and age where everything is programmable straight from any mobile device. To save money and energy this summer, make the upgrade to home automation. Home automation allows you to control your air conditioning remotely. We all have those days where you leave in a hurry and forget to turn off the air. Now you’re cooling the house down for 8 whole hours while you’re not even there to enjoy it and paying the price…literally. Now, you have the ability to turn it off wherever you are. Plus, you also have the added perk of turning it on on your way home so you can walk into a cooled house instead of waiting around. You may not think it can make a big difference, but adjusting your thermostat during the day can save energy anywhere from 10-15%. Keeping your thermostat above 75⁰F while you’re home and above 82⁰F when you’re not can truly make a huge difference in your energy usage and save you lots of money. Blinds, shutters, and curtains can play a HUGE part in the running temperature of your home. 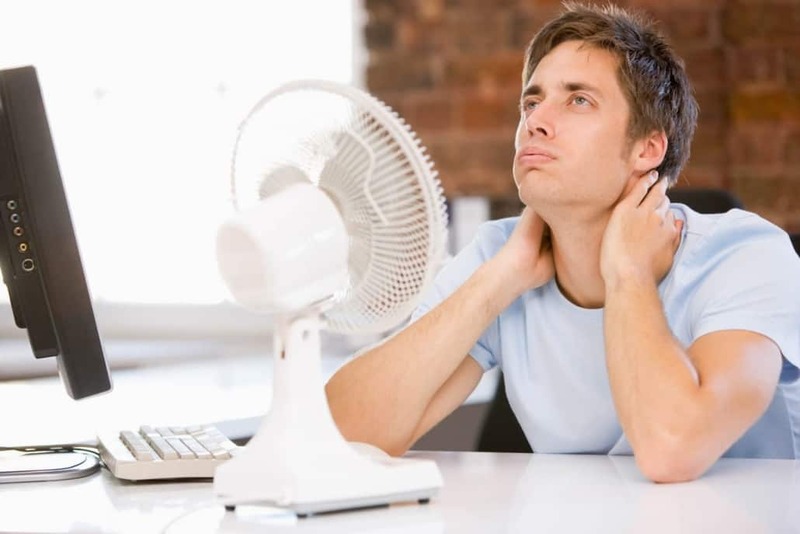 Your air conditioning works the hardest and wastes the most energy in the rooms drowning in sunlight. While we all love some sunlight, you’re essentially turning your room into an oven by letting it in unhindered. With blinds or blackout curtains, you keep the cool air in and the heat out, saving you energy and money in the long run. If blinds seem like an investment, you can find blackout curtains or similar window coverings at most retail stores for a very affordable price. If you are able, planting shrubbery and trees around your home can drastically affect the temperature inside. Plants can both block the sun from entering the home and absorb the heat entirely. As they take in the sun, the plants will transpire, which helps keep you cool. The most effective places to plant are on the west and south sides of your home near/in front of your windows and around your outdoor AC unit. Having that shaded can increase efficiency by 10%! Cross ventilation is guaranteed to make you cooler. If you open the windows on opposite sides of a home or building, you’re allowing for a natural breeze and a pathway for the airflow. When it cools down in the evening, swap your air conditioning for a natural air circulation that will replace the hotter indoor air. You’ll save a lot of energy by turning off the air and enjoying the natural breeze we get in the orange county area. Hopefully these six energy conservation tips have given you some usable ways to save energy and money throughout the hotter summer months without compromising your cool. We are always looking for ways that we can help homeowners save money because we are homeowners ourselves. Let us know if you’re looking to get routine air conditioning maintenance or are ready to upgrade your unit. Proflo is at your disposal.